Sometimes when I get a new kit I immediately fall in love with all the pretty papers. It makes it so hard to narrow down which papers to use. Personally, I like to use a style that showcases the many beautiful papers rather than figure out which papers NOT to use. I created a traditional block style for this layout. For the small blocks, I chose four papers and repeated them times each. The stitches and lace trim add to the traditional or quilted feel. When I saw the papers with small floral designs it reminded me of wallpaper that was in my Granny’s house growing up. If you wanted to use a different style changing those elements alone produce a different feel. 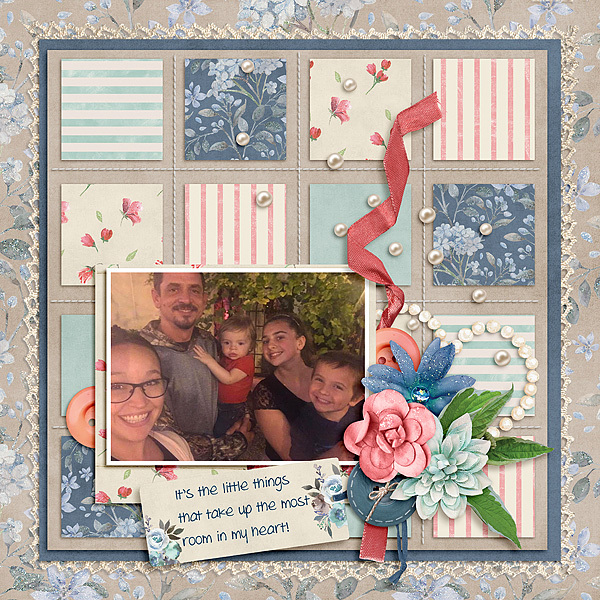 I used a collection called It’s the Little Things by Alexis Design Studio to create this layout. If you’re familiar with Lexy’s designs you know she’s the queen of lace, flowers, and all things feminine. I love her style and she’s as sweet as can be. 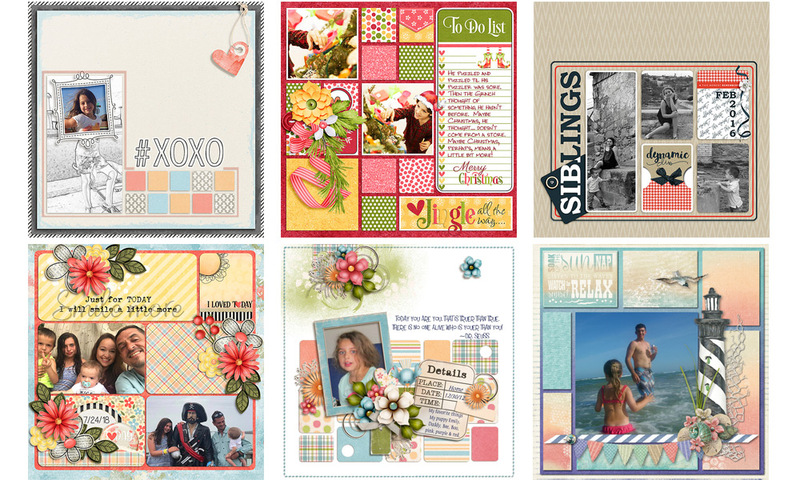 I went in my vault (yeah right) and dug out a few other layouts I’ve created over the years to demonstrate other block styles, modified block styles, and pocket pages that have been used with the focus on the papers. I’ve never been called a minimalist but as I was looking for some layouts to show you I started wondering if it’s possible to combine minimalism and block style. So what do you think? Do you have a minimalist block style you’d like for me to showcase? If you do please contact me, I’d love to see it. In the meantime, I’ve started thinking about what that might look like. Maybe I’ll have a challenge for this in our Facebook group. Fun!